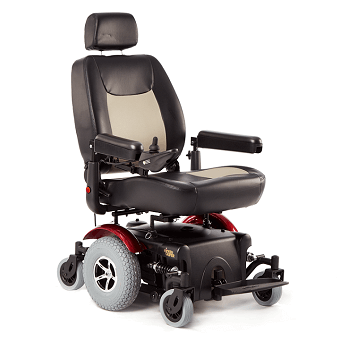 For full-time power wheelchair users, the durability and support of a full-size power wheelchair is ideal for you. 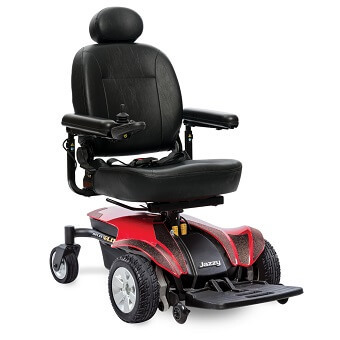 Full-size power wheelchairs are recommended for all day users because of their high back and comfortable seats, as well as a longer battery range. These power wheelchairs are designed to carry a higher weight capacity (users ranging from 300lb to 600lb). 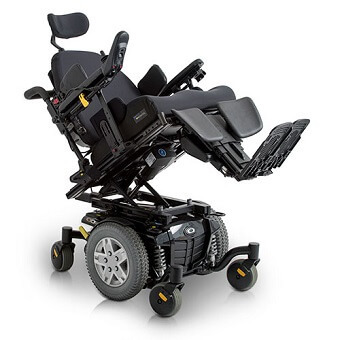 Heavy duty/high weight capacity power wheelchairs come in a variety of styles, including larger seating options and models with mid-wheel drive. Custom Rehab Powerchairs are for users who experience mobility limitations due to a neurological condition, myopathy, or congenital skeletal deformity. We offer options for patient's of all needs, and we carry custom powerchairs from Quantum Rehab, Sunrise Medical, and Permobil.